NOplays welcomes back Shellen Lubin to talk about the In Her Name Festival. You can see her work this weekend at the 13th Street Repertory Theatre. Click here for tickets. Q: You have two plays in this festival, White Cotton and After the Thin Man. How have these scripts evolved since the first 365 Women a Year cycle? A: ​After the Thin Man has had two sets of revisions over two readings of the play, bringing it stronger, tighter, and eliminating some lines which over-stated the intentions. White Cotton has had a reading and a production, but hasn’t seemed to need as much revision. I think it was tighter to start. ​Q: What drew you to each of the women featured in these plays? A: ​I studied with Stella Adler, but was always haunted by this statement Sylvia Gassell made about Stella when she was in a musical of mine, that Stella had told her not to let them make her a character actress in Hollywood–and when Sylvia had said that was what she wanted to be, Stella had told her then she’d never work. I knew that Stella had come back from Hollywood destroyed in some way, and then went full time into teaching, and so constructed this imaginary encounter between the two of them that also addresses the conflicts she had with Lee Strasberg and the kind of teacher she became. Fannie Lou Hamer to me is everything 365 W…a…Y… is about–women who did extraordinary things who have essentially been written out of our history. Fannie Lou s was an extremely important civil rights activist and voting rights activist from a family of sharecroppers, and she even testified before congress about the brutal beatings and illegal jailings she received, but because she wasn’t a man, and, maybe even more, because she wasn’t a male preacher, her story is almost forgotten. Q: Can you walk me through the process of creating both of these plays in the same 365 Women a Year cycle? How did the writing of one play influence the writing of the other? Q: You wrote two new pieces for 365 Women a Year in 2015. Has your experience in the first year influenced your writing the second time around? A: ​Absolutely! I am feeling even less of a need to tell anyone’s story, and more inspired to just write a play that is about a moment in their lives, a dramatic, pivotal moment in their lives. For example, the piece I wrote about Zilphia Horton is a fight with her father in her early 20s that determined the rest of her life, but you need to then go read about what it was she did with the rest of her life. Q: In addition to writing this play, you’re also one of the producer for the In Her Name Festival. What are some of the challenges of working as both writer and producer? What are some of the rewards? Q: What are you most excited about for the reading this weekend? What are you most nervous about? What are you hoping to accomplish with your play specifically? Q: This is the second In Her Name Festival. Is there anything you want to see in this years festival that wasn’t there last year? What are your hopes for In Her Name 2016? ​A: This year I hope we are better paced. We had so many plays in one night last year, it was overwhelming. More plays this year, but we’re also more spread out. I’m hopeful that that will allow the whole festival–and all of us involved–to breathe better. Breathing is good. 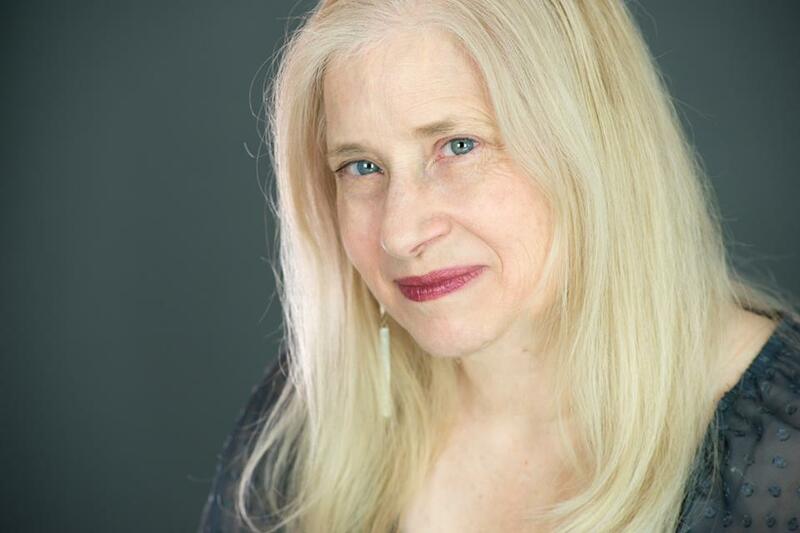 Shellen Lubin‘s plays and musicals have been performed in productions and staged readings at the Public Theatre, Henry St. Settlement, MCC, AJT, and many other venues. She is currently working on a new play about Sarah Bernhardt, and a musical based on Elsa Rael’s award-winning children’s books with Elsa Rael (book) and Matthew Gandolfo (music). She and her songs have been featured in cabaret (most recently the Metropolitan Room in NYC and Stage 773 in Chicago), on radio (Woody’s Children on WQXR-FM and a one-hour special on WBAI-FM), cable television, and in Milos Forman’s 1st American film, TAKING OFF. Shellen has directed numerous plays, musicals, and cabaret acts in productions, workshops, and readings, most recently DOOR OPENS WALK THRU by Susan Merson at the 13th Street Repertory Theatre; the 28th-31st Annual Bistro Awards for Sherry Eaker; and Lainie Kazan in a concert reading of BELLE BARTH: IF I EMBARRASS YOU, TELL YOUR FRIENDS by Koch/Levinson/Kalt at the Falcon Theatre in Burbank, CA. She coaches voice and acting privately and at a number of colleges and professional and private schools. Her philosophical musings on artistry as a means of understanding ourselves and living more deeply, truly, and meaningfully have been read by thousands in six cover pieces for Backstage, the Performing Arts Weekly. She also writes a weekly think piece called the “Monday Morning Quote” (www.mondaymorningquote.com). As an advocate for women in the arts, she is the Co-President of the Women in the Arts & Media Coalition and VP of Programming for the League of Professional Theatre Women, She is a member of most unions and guilds in our industry, and an elected member of the National Theatre Conference. This entry was posted in Theatre and tagged 13th Street Repertory Theatre, In Her Name, New Plays, parity raid, Shellen Lubin.